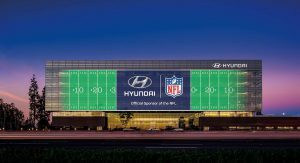 During this 2019 Detroit Auto Show, Hyundai Motor America CMO, Dean Evans confirmed that his company isn’t planning on extending their official vehicle sponsorship deal with the NFL beyond this year. The Hyundai exec also stated that NFL programming will still be a key piece of its marketing strategy, and that they won’t pull out of the league completely. Still, this decision leaves the door open for other car brands to step in and claim the official sponsorship title. 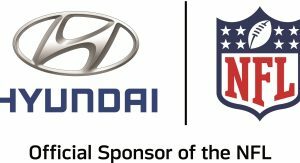 According to Autonews, certain Hyundai dealers have been questioning the effectiveness of the sponsorship over the years, as it hasn’t exactly offered a lot of direct exposure during NFL games on networks such as Fox, CBS and NBC. 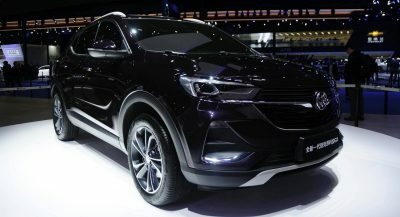 Despite Hyundai being the official vehicle of the league and Genesis the official luxury vehicle, brands such as Ford and Toyota still got plenty of exposure themselves during game days. 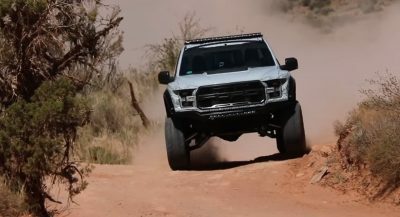 Ford is currently the official truck sponsor of the NFL, whereas GMC is a “Monday Night Football” sponsor. As for Toyota, they sponsor the “Sunday Night Football” halftime show on NBC, the “Thursday Night Football” halftime show on Fox and they also used to sponsor the Monday night halftime show before Genesis took over. 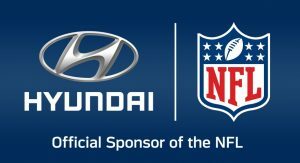 It’s what led to Hyundai becoming more aggressive on game days, specifically with “Sunday Night Football”, and over time, the Korean automaker did manage to bring more NFL fans into showrooms thanks to their partnership with the league. This year’s Super Bowl LIII in Atlanta will feature Hyundai’s “Fam Jam”, where people will compete to win a $500 gift card by guessing how many footballs fit inside a Hyundai Kona. Meanwhile, the new Palisade crossover will also be featured, as will exclusive autograph signings from 30 current and former NFL stars. Good. Maybe now, Hyundai can cause it’s out-the-door prices to be below those of Toyota. Due to concussion problems, US football is having a quick death. The future is eSports. Why the hell would you watch gamers instead of real sports? Well you should ask billionaire sports owners why they are pouring billions into eSports franchises. The billionaire Wilpons (owner of NY Mets) has a huge ownership stake in such a franchise. eSports is now an official Olympic sport and will be featured in the next Olympics. Follow the money. 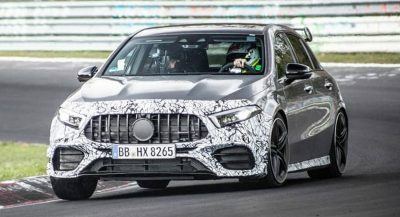 so then Kia will take over? This was the silliest sponsorship like ever. Very few if any NFL players want to drive a damn Hyundai. They got NOTHING out of this.